Are you looking for new windows or doors in Burbank? We are your local certified distributor of Windows Replacement in Burbank from Milgard and many other companies, and we will be glad to help you make your selections and plan your project! We specializes in windows and replacement for any residential or commercial property. Our highly skilled and professionally trained staff is up for the job. You can trust us with every aspect of the project, from beginning to end. We help you make your selection that best fits your space, as well as your budget. We will be with you to answer all your questions before your project begins, so you can be sure that you are getting the best value for our money. Our customers repeatedly recommend us to their friends and family. We know that they trust us with their houses and businesses because they know we will an excellent job for them, time and time again. Isn’t it about time that you learned more about our company too, and experience the quality in service and products that we can offer? Sure, any renovation project can cost a ton of money. But replacing old, faulty windows and doors are just the opposite of expensive. Because newer windows, especially Milgard Essence Wood Windows are built specifically with energy efficiency in mind, they most likely will save you money in the long run. Customers typically save hundreds if not thousands on energy bills after they have made the switch. Often they tell us that they wonder why they didn’t decide to replace their door and windows sooner! And if you are planning to eventually sell your property, high quality windows and doors add to your property value. It’s seen as a major selling point to have excellent energy efficient windows and doors installed. Choose us to be your guide in your next windows and doors replacement project. You will be so glad you did. Our windows and doors are the best quality products you can find on the market today. Every style and design is produced with high quality materials and we stand by our products 100%. Our professional installation staff also have many years of specialized experience in delivering excellent completed designs and installations to our customers. Our service is fast, responsive, and courteous. You’ll find that it’s a joy to interact with our staff. They truly care about your property and your project and want to deliver the best result they can to you at a fair price. 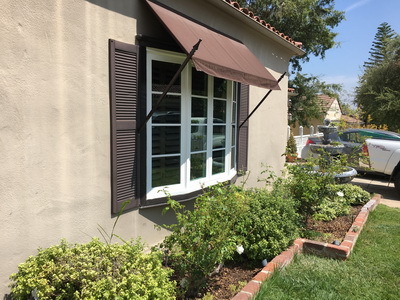 You don’t have to worry about investing in high quality Replacement Windows in Eagle Rock and doors only to have inexperienced staff install them incorrectly or inaccurately. The headaches and hassle of repairing and re-installing is not worth the effort. Trust us to handle your replacement project professionally so you can just sit back, relax, and enjoy your new beautiful view of the great outdoors. Feel free to contact us at any point if you have any questions. We always have friendly customer service staff on hand to assist you. Each project is unique and special, and we love to give each of our customer the care and attention that you deserve! Our catalog of Replacement Windows in Burbank includes a variety of elegant, irresistible styles. Take time to imagine your property transformed by a new set of windows or new doors. Your family or your client and employees will absolutely love the result! Windows supply natural light to a room and makes everything more beautiful. They also bring the outside in and makes people feel at peace with the world. Our doors are not only built tough and strong, but also impressive and beautiful as well. Visitors will notice the distinct personality of your home even before they come inside. A lovely entrance sets the stage to a beautifully decorated home. A strong door also deter criminals and guards your property and loved ones from unwelcome guests. Both of our windows and doors selections offers technology that improves energy efficiency for your home. They keep the heat in during the winter, and keeps the indoors cool during the summer.